It was the monsoon season. Shriji Maharaj, together with Gunatitanand Swami, Muktanand Swami, other sadhus and devotees were in Gadhada. Daily, the sadhus listened attentively to Maharaj’s discourses. One day, after the discourses, Maharaj went to deliver a discourse to the women devotees. “It’s me, Gunatitanand,” came the reply. “Why are you standing here late at night in such weather?” asked Muktanand Swami. Again Muktanand Swami asked, “Don’t you feel sleepy? You’ve been soaked by the rain.” Then he left, but Gunatitanand Swami stayed. Late that night, when Maharaj was returning to His room after the discourses it was still raining. Just at that time, a flash of lightning streaked across the sky and lit the dark night. In this flash of lightning, Gunatitanand Swami’s patience was rewarded by the darshan of Maharaj. Only then did Swami retire. Gunatitanand Swami spent all his time engrossed in the darshan, company and worship of Maharaj. His devotion and love for Shriji Maharaj was supreme. Abhaysinh Darbar of Lodhika was a bona fide devotee of Bhagwan Swaminarayan. He strictly adhered to the five cardinal moral vows prescribed for householders. Once, he went to the Jamsaheb of Jamnagar for some administrative work. The palace of Jamsaheb was a venue for evening bouts in binging. When Abhaysinh entered, the guests were intoxicated with liquor and ego. The Jamsaheb, too, was drunk and entertaining himself with jokes with his men. The lion-like resolve of Abhaysinh jolted the Jamsaheb from his intoxication. He embraced Abhaysinh for his steadfastness. A true devotee remains morally resolute even in the face enticements or peer pressure. Shriji Maharaj and the paramhansas were present in Gadhada. Once, Maharaj instructed the paramhansas, “From today onwards you shall all wear an arm’s length of jute cloth only.” Then Maharaj started giving the jute cloth to the paramhansas. Everyone present accepted the new injunction. Then Brahmanand Swami came. Since he was very fat, an arm’s length of jute cloth did not suffice for him. “Maharaj, give me more than an arm’s length,” Brahmanand Swami requested. “A rule is a rule. You’ll not get more,” Maharaj replied. “But Maharaj, how can I cover myself with only an arm’s length!” Brahmanand Swami argued. On hearing this, Brahmanand Swami started looking in the four directions. Shriji Maharaj asked him what he was doing. “I am looking around to see whether there is any God besides You residing anywhere. But I cannot find anyone other than You. Without refuge in You there is no liberation,” Brahmanand Swami spoke with deep conviction and reverence for Maharaj. The words of Brahmanand Swami pleased Maharaj. The supreme Maharaj embraced and showered His blessings on Brahmanand Swami and gave him the extra jute cloth. Everyone was impressed by the resolute faith of Brahmanand Swami. A devotee’s firm refuge in God makes him a recipient of liberation and God’s abundant grace. Gunatitanand Swami was touring the Sorath region with a group of Sadhus. In some villages, where the devotees resided, they were honoured and welcomed; whereas in others the unfriendly folks insulted and persecuted them. Once, Gunatitanand Swami arrived at the village of Juna Savar. Uga Khuman, the village chief, loathed the Swaminarayan sadhus. On hearing the news of their arrival, Uga Khuman became inflamed with anger. He and his men insulted them, thrashed them and drove them out of the village. When Gunatitanand Swami came to know of this, he and the sadhus prayed to Shriji Maharaj to bless the Darbar with a child and thereafter to have his house graced by sadhus. Uga Khuman repented for his ruthless act and prayed for forgiveness. One who blesses in return for persecution is a sadhu. Gunatitanand Swami was fearless because he considered no one to be his enemy. He had sowed the seeds of Satsang by tolerating innumerable occasions of insult, pain and persecution. Today, those seeds have grown into giant banyan trees, providing solace to innumerable souls. Shriji Maharaj’s foreboding words sparked off a flurry of thoughts in everyone’s mind. And Maharaj’s words came true. Many of the hostile people of Anand insulted Maharaj and his company of sadhus and devotees. They bitterly hurled mud, bricks, stones, dung and rubbish as the procession passed through the town centre. The Kathi devotees suppressed their anger and ferocity and tamely tolerated the affront. Though their hearts boiled and itched with a desire to retaliate, they abided by their pledge to Maharaj. Shriji Maharaj left Anand and arrived in Vartal. Here, Maharaj assembled the congregation by the banks of Gomti lake. Everyone looked crestfallen and moodless. Maharaj then addressed the assembly, “Today we have won the citadel of Idar. Through tolerance we have enhanced our pride and reputation.” Maharaj’s words calmed their agitated minds. God is compassionate and merciful. He tolerates everyone. Shriji Maharaj had emphasised tolerance as a great virtue. He imbibed the virtue in His life and prescribed tolerance for all His devotees! Barpatoli is a small village in Saurashtra. Khima Dobariya, a native of the village, was a dedicated devotee of Bhagwan Swaminarayan. He was happy socially and financially. He had a respectable name in the region. His wife, too, was a staunch devotee. The Brahmin left in shame, never to return to that village. A true devotee has unswerving faith in God. He does not believe in black magic nor can evil elements exercise their influence over him or her. Vajiba, one of Maharaj’s foremost female devotees, was of the Sathvara community. She lived in Vijapur and readily and devoutly served food and provided clothes for all sadhus. Once, she had understood the qualities of a true sadhu and the principles of Satsang, she became a very staunch devotee. She realised the futility of feeding and clothing wayward bawas and thus stopped entertaining them. Once, Shriji Maharaj arrived with Mulji Brahmachari to Vajiba’s house. As she had never seen Shriji Maharaj, she did not recognise Him. Maharaj tested the extent of her faith by showing several miracles. Through His powers of omniscience, He asked for rotlas, a bed and a mattress. Even when He extended His feet to touch a pipal tree, she did not waver in her faith towards Maharaj. In fact, her firmness increased, even though she did not know that Maharaj Himself was her visitor. A few days after Maharaj had left, she decided to go to Gadhada for His darshan. There, Maharaj asked her, “Do you recognise these charnarvind? Devotees who have firm faith are not deflected from their conviction, even if tested by God Himself. God showers His love on such staunch devotees. Sagram Vaghri of Limli village was a genuine devotee of Shriji Maharaj. Though he was low-born, by character he was noble and towering. The severe famine of VS 1869 (1813 CE) had spread its tentacles of suffering and death on the land of Kathiawad. Many migrated to southern Gujarat to survive and eke out a livelihood. Sagram Vaghri and his wife, too, were heading optimistically towards the town of Surat. On the way Sagram’s eyes fell on a shiny ornament. It was an expensive silver anklet that someone had lost. Despite his poverty, Sagram had no desire to take it. But he thought of his wife who was a few furlongs behind him. Being a woman she would be enticed to take it, and it would amount to a transgression of Bhagwan Swaminarayan’s words. So thinking, Sagram covered the anklet with mud. “Why did you cover mud upon mud? I see another’s possession as mud!” Sagram’s wife nobly responded. Sagram was surprised and fascinated by his wife’s resolve. Even in spite of hard times, Sagram remained steadfast to Bhagwan Swaminarayan’s instruction of not taking a thing lying on the wayside. And his wife perceived another’s belonging as mud! The strength of one’s character is reflected in hard times. In 1812, Shriji Maharaj celebrated the Pushpadolotsav festival in Sarangpur at the house of Rathod Dhadhal. All the paramhansas were present on this divine occasion. Koti Shankar dhare dhyãn, koti Brahma kathe gnãn. Then, Maharaj touched His stick to the chest of Gunatitanand Swami and said, “I am supreme Purushottam Narayan and the sadguru whose glory is described in these verses is Gunatitanand Swami. Everyone was spellbound to hear the true glory of Gunatitanand Swami from the lips of Maharaj Himself. This incident was witnessed and narrated by Rathod Dhadhal to Jasa Gor and Nagji Sheth. They in turn narrated this incident to Brahmaswarup Shastriji Maharaj. Ghanshyam’s father, Dharmadev, had a farm on the outskirts of a village called Targaam. He had sown rice in it. The rice was almost ripe, but birds were a big nuisance – they would repeatedly eat the grains and ruin the crop. Dharmadev looked after the crop very well, and made sure that nothing happened. Once, Dharmadev had to go to another village, and so he decided to entrust Ghanshyam with the job of looking after the farm until he returned later in the day. He explained to Ghanshyam, “I’m going out on business. Have your meal now, and then go to look after our rice.” He sat Ghanshyam down to eat, he also gave Him a stick to scare away the birds away. Ghanshyam put on His shoes and went merrily on His way, wielding the stick as He walked. When He reached the farm, He saw hundreds of birds completely destroying the crop. They were all eating to their hearts content. Ghanshyam felt pity on them and thought, “I couldn’t bear to scare these poor innocent birds away? But if I don’t, my father and elder brother will get very angry.” He pondered for a while and came up with an idea: “I know what I’ll do!” He instantly used His divine powers and sent all the birds into a trance. He then went to play elsewhere with His friends. Dharmadev’s work in the other village took longer than expected. He became worried about Ghanshyam and sent Rampratapbhai to check if everything was alright. Rampratapbhai came to the farm but couldn’t see Ghanshyam anywhere. He searched around and ultimately found Him playing at Madhavram’s place. Rampratapbhai got very angry. “You were sent to look after the farm!” he said furiously. Ghanshyam took His elder brother to the farm. Seeing all the birds frozen still, Rampratapbhai went for a closer look – to see if they were dead or alive. Just then, Ghanshyam used His divine powers again and released all the birds from their trance. They immediately flew away. Rampratapbhai was astonished. He did not know what had happened. Nevertheless, young Ghanshyam smirked to Himself. He had managed to look after the farm without harassing the birds. Such was His compassion for even the smallest creatures. As a child, Mulji Bhakta was always steeped in devotion, prayer and service. Once, while he was absorbed in meditation and chanting the holy name of God, his father told him. “Son, since you are young you should play. This is not the age to sing bhajans.” Young Mulji asked, “Father, at what age should one begin worshipping God?” His father replied, “In old age.” Without saying anything Mulji went outside. Though Mulji was a child of around seven-years-old, his words of wisdom convinced his father. The call of Mulji, who later became revered as Aksharbrahma Gunatitanand Swami (1785-1867 CE), to worship God from childhood has awakened countless souls from the slumber of laziness and ignorance. Hearing these completely absurd arguments that contradicted the scriptures, Ghanshyam left and sat in the parikrama of the mandir. Hearing this attack, Mohandas reconsidered his actions. He realized his mistake. Tears came to his eyes as he thought to himself, ‘Such a young boy cares so much for righteousness and penance, whereas I am obsessed in indulgence at the end of my life; and due to that, I make others do wrong also.” He came out and fell at Ghanshyam’s feet, repenting for his mistake. He then promised to preach righteousness and the importance of Ekadashi from then on. Shortly after Dharmadev and his family had moved to Ayodhya, the festival of Ramnavmi arrived. Dharmadev wanted to celebrate the festival lavishly and even invitation cards. Many family members from the surrounding villages came on the day before Ramnavmi. On the next day they celebrated Ramnavmi fast on that day. On the next day, Bhaktimata and Suvasinibhabhi woke up early to cook the food for everyone to break their fast. Ghanshyam also woke up early and got ready. Once the meal was ready, Bhaktimata prepared the ‘thaal’ to offer to God, and put it in front of the murtis. Ghanshyam pulled His mother’s hand and said, “Mother, I’m hungry.” Bhaktimata prepared a dish of food for Him, and gave it to Him. Ghanshyam finished it in no time at all. He then began eating from the thaal that had been placed in front of the murtis. But He finished that too instantly. He then started eating from the vessels in the kitchen. He had soon finished all the food that had been cooked. He washed His hands and mouth and came out of the kitchen. Bhaktimata came to check that everything was set, but to her horror, all the vessles were empty. She quickly told Dharmadev, “Rush to the market and get the necessary rice, grains, flour, ghee, etc. again. “Suvasinibhabhi and I have just come from the kitchen. You’ve emptied everything!” said Bhaktimata in a frenzy. “No, no, I haven’t ! At least come and see,” said Ghanshyam, pulling Bhaktimata’s hand. He led her to the kitchen. It was a miracle! All the vessels were filled to the brim as before. Seeing this miracle, Bhaktimata was relieved. She hugged Him and smothered Him with kisses. Dharmadev was also pleased. They fed all the guests to their heart’s content and saw them off happily. Ghanshyam had revealed His godly powers one more time. Kathiawad, 200 years ago. The Maharajas of Bhavnagar, Nawanagar (today’s Jamnagar), Junagadh and Dhrangadhra were hailing the “Jai” of a ‘phenomenon.’ This ‘phenomenon’ was the poet Ladudan Barot. He was only 28 years old. The Royals showered him with gold coins, gems, pearls, gold ornaments, and gifted him horses and camels. They also honoured him with the degree of “Royal Bard”, “Pingal Acharya”, etc. Why? Because Ladudan really was the greatest, the most intelligent and most versatile poet they had ever met! 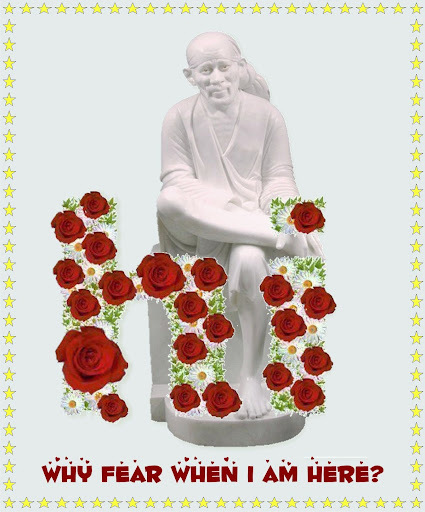 (1) “He (Shriji Maharaj) should be wearing a rose garland. (2) There should be a katha of the Shrimad Bhagvat going on with the Bhagvat on a black woollen cloth. (3) He should have the 16 signs on the soles of his feet. (4) And he should call me by my name...Only then shall I believe him to be God,” thought Ladudan. In Gadhada, he trotted into Abhal Khachar’s darbar. On his left he saw a large neem tree. People were sitting underneath its shade. There were saffron robed sadhus as well. He suddenly felt drawn towards the tree. As he came closer, his eyes fell on a person dressed in white, seated on a high seat. He felt a wave of soothing peace roll over him. He did not understand what was happening to him. He did not know that he had got off his horse and was walking towards the magnificent figure in white, with a rose garland around his neck ! He saw the Bhagvat on a black woollen cloth ! Just then he heard a voice. A friendly voice. Ladudan nearly fainted. Three wishes fulfilled! “Who is he? Is Swaminarayan really God?” His heart thumped wildly against his chest. By now Ladudan had reached Shriji Maharaj. Instantly he knelt down at Maharaj’s lotus-feet. As his head touched the feet, he saw the 16 signs on the tender soles of Maharaj! His fourth wish was fulfilled! That did it! His ego of being the best poet crambled. His heart was humbled. “O Bhagwan! Please forgive me. My ego prevented me from believing you as God. Please forgive me...” Tears filled Ladudan’s eyes. Shriji Maharaj placed His hands on Ladudan’s head and blessed him. This divine touch transformed Ladudan. His heart was now completely drenched with bhakti for Shriji Maharaj. Being an extempore poet, he instantly composed the famous kirtan. Bhagatji Maharaj was the second spiritual successor of Bhagwan Swaminarayan. He was born on Fagun Sud Punam (Holi) in 1829 in Mahuva. He served Aksharbrahma Gunatitanand Swami in Junagadh in many ways. An ideal disciple quickly learns about his guru’s wishes. The guru does not have to tell the disciple which seva needs to be done. Bhagatji Maharaj always managed to learn about Swami’s wishes and instantly performed them. Bhagatji instantly got up. He realized that Swami wished the trees to be watered. He then fetched water from a nearby well. There were 300 trees. He poured 4 potfuls of water to each tree. That means he fetched 1200 potfuls of water from the well! An astonishing feat! Supreme seva! Bhagatji got up instantly. He changed his clothes and removed the dead dog. The supply of stones started. Then he had a bath and returned to Swami in the assembly hall. By performing difficult seva instantly, without being told, Bhagatji Maharaj earned Gunatitanand Swami’s grace and blessings. Page created in 0.335 seconds with 69 queries.